When your child experiences a dental emergency, the result can be stress, fear, and pain, but it’s important for patients of Smile More Kidz to know that our doctor and team are here to help during dental emergencies and whenever your kids need us. 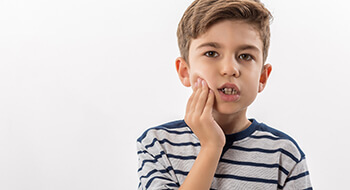 Whether your child experiences dental damage, severe toothache, or any other oral health issue that necessitates urgent treatment, call our office right away. In most cases, we’re able to see your little one the day you call. Most importantly, our team will walk you through first aid and pain management techniques to make your child comfortable and keep him safe until you reach our office. If you're not sure your child needs immediate treatment for their dental damage or discomfort, please contact our team anyway. Our goal is to work with you and your little one to avoid severe tooth decay or damage. Since the majority of oral health issues spread or worsen without treatment, we want to get started restoring full form and function right away. Even if your child’s case does not necessitate immediate care, we’ll start planning for treatment to renew optimal oral health right away. If you're ever concerned that your child's life is in danger, please proceed to your nearest emergency care facility. Dr. Darren Tong will be happy to repair any damage to your little one’s smiles in partnership with these emergency medical professionals. We welcome emergency dentistry patients from Tappan, NY and all surrounding New York and New Jersey communities.